Accidents happen everyday, but when you’re injured because of someone else’s negligence, you have a right to seek compensation for your injuries. The Baltimore County personal injury lawyers with the Law Offices of G. Randolph Rice, Jr., LLC, are here to help you resolve your injury case and get you back to where you were before the accident. Baltimore County Personal Injury Attorney – G. Randolph Rice, Jr.
Sore neck, back tension or aches, you’re in pain and you don’t know what to do after a car accident? Call the personal injury lawyers at the Law Offices of G. Randolph Rice, Jr., and get the compensation you deserve. If you were injured by the negligent actions of someone else in Baltimore County, you should consult with a Baltimore County personal injury lawyer. Don’t sign anything until you talk to our office first! Our personal injury lawyer will fight to get you compensation for your medical bills, pain and suffering, and lost wages. At the Law Office of G. Randolph Rice, Jr., LLC, we offer 100% confidential, no commitment, FREE consultations. Call us at (410) 694-7291 to discuss your case and find out how much your case is worth. Personal Injury Lawyer in Baltimore County, Maryland. Whether you’re injured on the westside of Baltimore County, in Towson or the eastside, we are here to help. We have two convenient office locations and are available 24 hours a day 7 days a week to take your call. 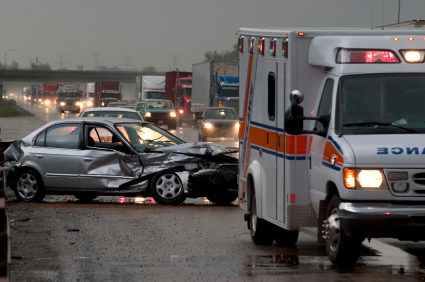 In most car accidents in Baltimore County, someone is hurt and someone is at fault. If you were hurt because of the negligent actions of another driver, you deserve to be compensated. The insurance company will fight you tooth and nail to avoid paying anything for their insured. You deserve better, call the Law Offices of G. Randolph Rice, Jr, to schedule a free consultation and discuss your injury case. You may not realize the extent of your injuries until days or even weeks after a car accident in Baltimore County. If you have been involved in a car accident, make sure you see a medical expert as soon as possible. That may not be an issue if you are taken from the scene of the accident to the hospital. But if you were not treated at the hospital on the day of the accident, make sure you visit your primary care physician or a local doctor. If you have any discomfort or pain, you should see a doctor as soon as possible to ensure there aren’t any internal injuries or medical problems that could present themselves in the future.